Is K. Chandrashekar Rao’s non-Congress, non-BJP front a 2019 fantasy or can it beat Modi? Fresh from his win in Telangana, TRS chief K. Chandrashekar Rao is now on a seven-day tour to various states with an aim to build a ‘non-Congress, non-BJP’ federal front ahead of the 2019 Lok Sabha elections. He met BJD chief Naveen Patnaik Sunday and will call on TMC supremo Mamata Banerjee Monday. 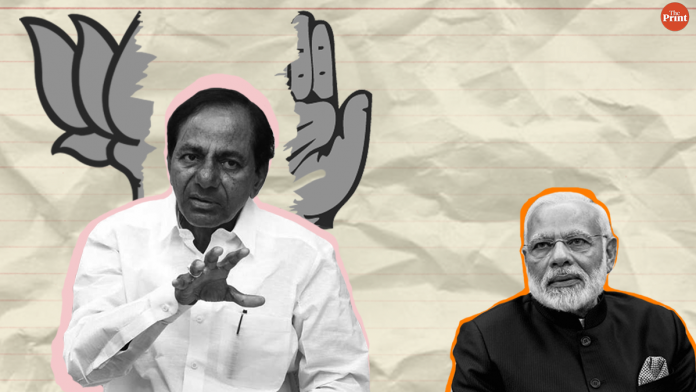 ThePrint asks: Is K. Chandrashekar Rao’s non-Congress, non-BJP front a 2019 fantasy or can it beat Modi? A non-Congress, non-BJP front is certainly a strong possibility. We have seen several coalitions in India’s political history, but most of them have failed after a certain point. This is because there was no real agenda that was holding those coalitions together—they were hungry for power and the minute power seemed to be slipping away, they fell apart. Unlike those myopic coalitions, the one TRS is set out to form is based on the agenda of state federalism. Any party that feels the need for greater power and autonomy of the state will automatically gravitate towards this front. We need to stop referring to these parties as ‘regional parties’. While they may be operating regionally, they have national significance. Congress’ mahagathbandhan is a farce because it shows the party’s attempts to come to power using the votes that these regional parties will garner. Whereas the front we are establishing is based on a common commitment of state federalism. KCR will be meeting Mamata Banerjee soon as she is against the BJP and has spoken against Rahul Gandhi as well. An alliance of the TRS with TMC seems highly plausible. History has examples of several non-Congress, non-BJP leaders taking the national stage: H.D. Deve Gowda, Charan Singh, Chandra Shekhar and many more. So, we shouldn’t underestimate the power of a federal front. Politics in a country as varied as ours cannot be limited to binaries. In the run up to the 2019 Lok Sabha election, stakeholders across the political spectrum are busy speculating. 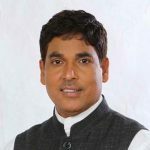 While the BJP and the Congress definitely fight each other directly on 110 seats of Rajasthan, Madhya Pradesh, Gujarat, Haryana, Chhattisgarh, Himachal Pradesh and Uttarakhand, the NDA and the UPA traditionally fight each other on 273 seats of Maharashtra, Punjab, Karnataka, Kerala, Andhra Pradesh, Telangana, Tamil Nadu, Bihar, Jharkhand, Goa, Jammu and Kashmir and Assam. 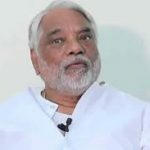 Buoyed by his victory in the recent assembly election, the Telangana chief minister has undertaken a mission to unite non-BJP, non-Congress parties. Whether these parties are in a position to be heard or not, amid attempts by the NDA and the UPA to raise issues that are likely to garner traction across the country, remains to be seen. The so-called Third Front has neither a separate story, nor a distinct personality that can be acceptable to the entire country. 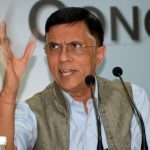 If results of the Lok Sabha elections in the last two decades indicate any trend, it is that 2019 will most likely throw a clearer mandate. People see in the Congress a party that has never disrupted India. It has an understanding of India, which is sadly missing in the BJP. A strong Congress automatically translates into a strong India. We have a multiparty system in our parliamentary polity for a reason. Men and women who drafted the Indian Constitution had great vision and foresight. Barring an unstable couple of years after the Emergency and during the 1990s, regional parties could not occupy the centre stage for a sustainable period of time. There can be arguments both in favour and against the multiparty system. The most coherent point against the multiparty system is that they have become a private limited company. General election trends over the last two decades show the decreasing influence of regional parties. They might still be a strong ally, like Lalu Prasad Yadav was to UPA I, but regional parties coming together for an alliance and speaking in one voice is highly unlikely. If mandates over the years tell us anything it is that nothing beats political stability. KCR has proved his mettle in Telangana state elections. But it will be a Herculean task for him and his party to translate it to a national scale. Telangana, at the end of the day, is a significant but geographically small state. With the resurgence of the Congress party, it will be an uphill task for KCR and his ilk to gather support from other smaller parties, as Congress has already started extending an olive branch to them. 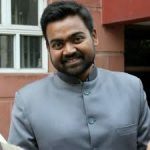 Kushwaha in Bihar, DMK in Tamil Nadu and JD(S) in Karnataka have gone with the Congress, and LJP is with the NDA – there are very few options left to explore for KCR. Also read: What suits Narendra Modi and Amit Shah better— Rahul Gandhi or a faceless mahagathbandhan? TRS chief KCR met Odisha chief minister Naveen Patnaik and had a fulfilling discussion on the need for regional parties to stand with each other. Having said that, the BJD has not taken a final decision on joining the ‘third front’ or forging an alliance with the TRS. 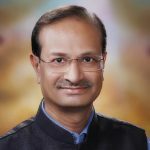 Generally speaking, the BJD has all these years maintained an equal distance from the Congress as well as the BJP, but the future may offer any number of possibilities. At the end of the day, we are a regional party and our concerns are state-specific. Ever since the BJP came to power in 2014, we have been demanding special category status for Odisha. In fact, it was one of the promises made by the BJP in its manifesto. But their term is about to end, and they continue to neglect our demands. If we look at the arithmetic of it, the regional parties collectively enjoy enough seats in Rajya Sabha and Lok Sabha to put pressure on the central government. This is a great advantage. But for any opposition alliance to come into being, we need to look at a number of factors and not just the arithmetic. There are a few important questions that need to be addressed if we are to analyse the political viability of this front. First, there is most definitely a political space for a regional party coalition. 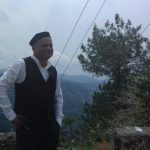 Since the early 1990s, with the emergence of UPA and NDA alliances, the message sent out to most parties was that you are either with the UPA or with the NDA. The Congress happens to be a historically dominant party, whereas the BJP is an emerging- dominant party. But let’s not forget, the NDA only garnered 31 per cent of the vote share in 2014. So even arithmetically, there is enormous possibility of a third front to come into existence. That said, KCR does not have the political stature to mobilise such an alliance. Even as a regional leader, he lacks the kind of political influence needed (especially in other states) to anchor such a front. For instance, Akhilesh Yadav’s Samajwadi Party has some political importance in other states besides UP. Naveen Patnaik, Mamata Banerjee, Chandrababu Naidu have the kind of experience and influence that KCR lacks. Finally, this move for a third front may have come a little too late in the day with 2019 elections just around the corner. I do see the possibility of KCR being able to form a non-Congress and non-BJP alliance, but this alliance will in no way be able to form a government at the Centre. At best, this alliance can only form government with the Congress. This alliance, however big, won’t win a majority of seats. This is assuming that TDP or YSR in Andhra Pradesh, NCP or PDP in Jammu and Kashmir, JMM in Jharkhand, BJD in Odisha, AIADMK or DMK in Tamil Nadu, SP or (/and) BSP in UP, TMC in West Bengal and AAP in Delhi and Punjab are all part of this alliance. However successful this alliance may be, one can’t expect it to even come close to the majority mark. There is a strong possibility of the formation of this alliance because there are political parties who are opposed to the BJP, but don’t want to ally with the Congress. However, the reservations of the regional leaders heading these parties won’t make the alliance feasible in the long run. This alliance alone may hardly be effective to push the BJP on the back foot. The possible third front would need the Congress in its fight against the BJP in 2019. Previous articleDoes 2018 mark the end of the reign of Khans in Bollywood? Next articleModi govt to give Indian names to Andaman islands: Erasing colonial past or political ploy?